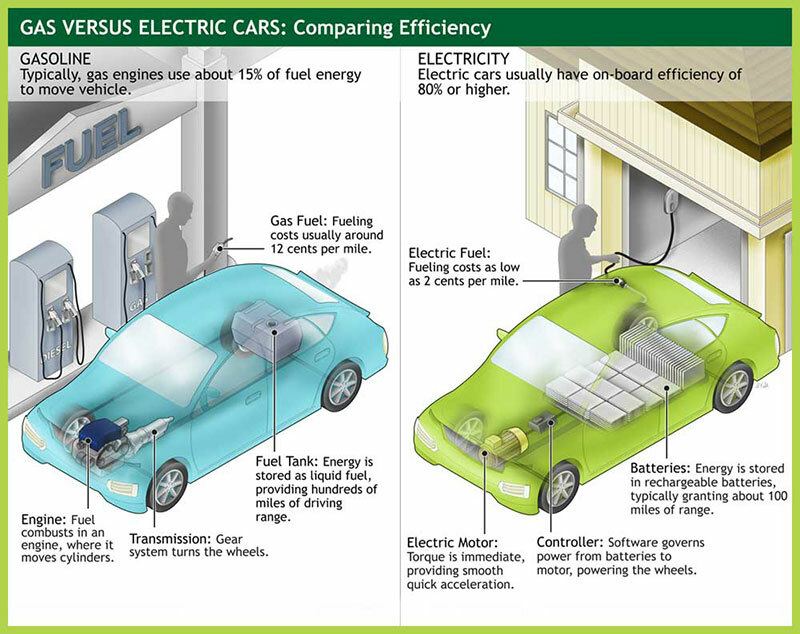 A technical illustration comparing gasoline versus electric vehicles. 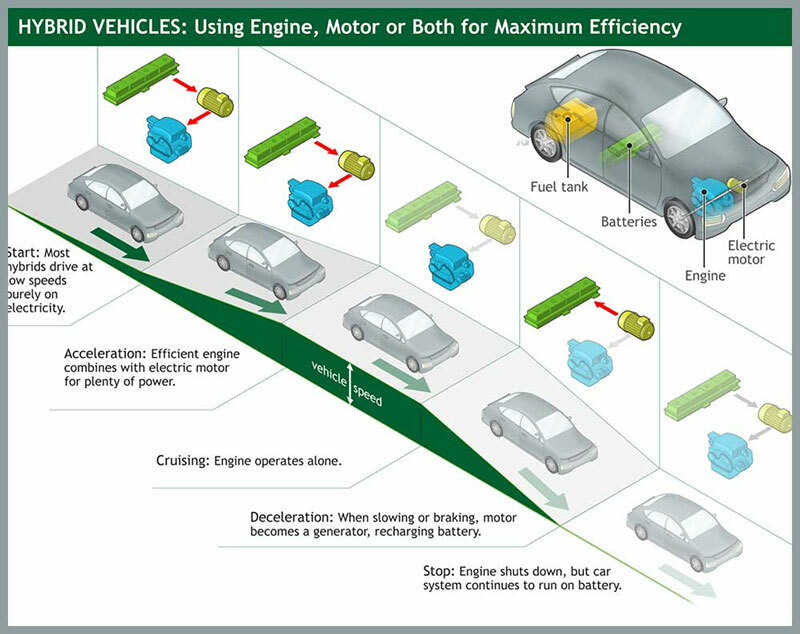 Technical illustration show what is in use at various phases of driving a hybrid vehicle. 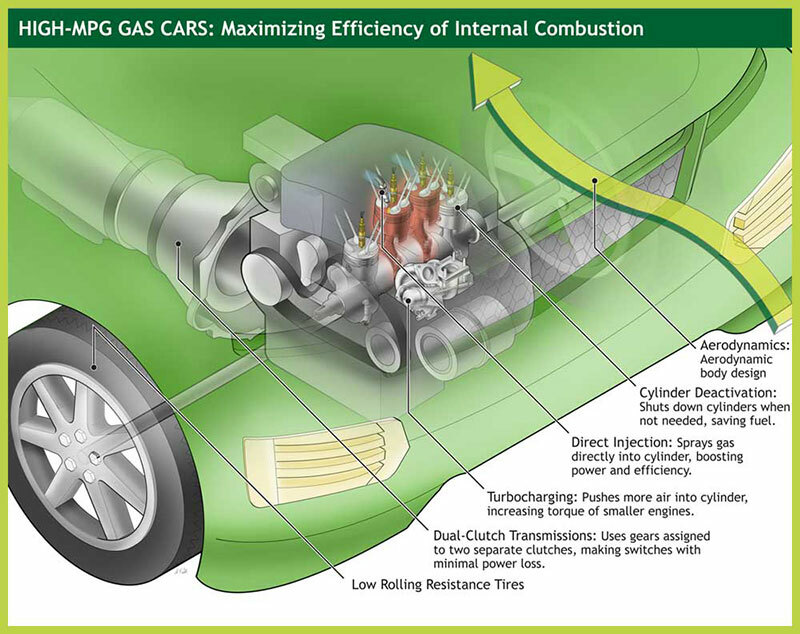 A technical illustration phantom view that shows maximizing efficiency of an internal combustion engine. 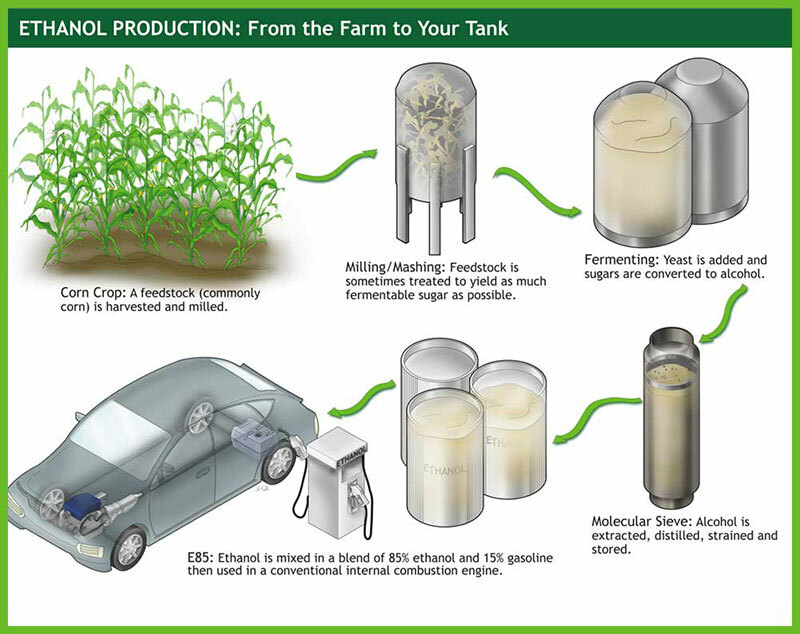 The process of ethanol production from the farm to your vehicle’s tank. 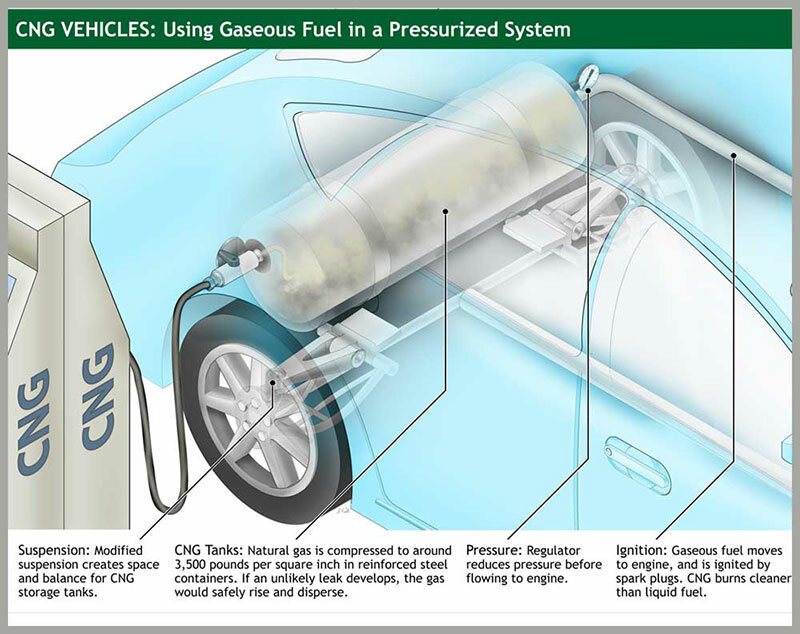 A phantom view, technical illustration of a compressed natural gas vehicle. Client: eBay: A series of technical illustrations depicting various vehicle types including compressed natural gas, hybrid plug-in, electric, diesel and hydrogen cars.